In this segment of Weapons of Choice, I'll be taking a look at the M1A1 75mm Howitzer. It's compact size and the power of the gun proved to be very versatile during WW2. Its use in Flames of War is not any different, with a few options to get it into any number of US or British lists. 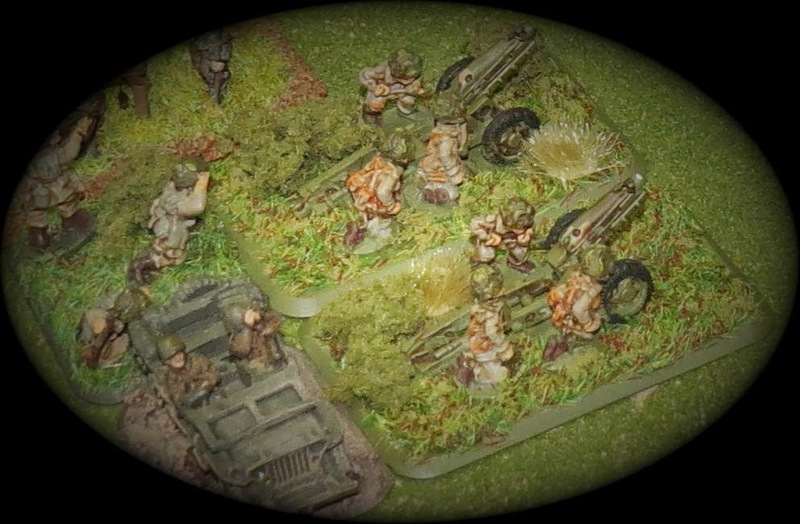 I'm a new fan of this addition to my US 82nd Airborne, it has proven to be a great choice for inexpensive artillery support. 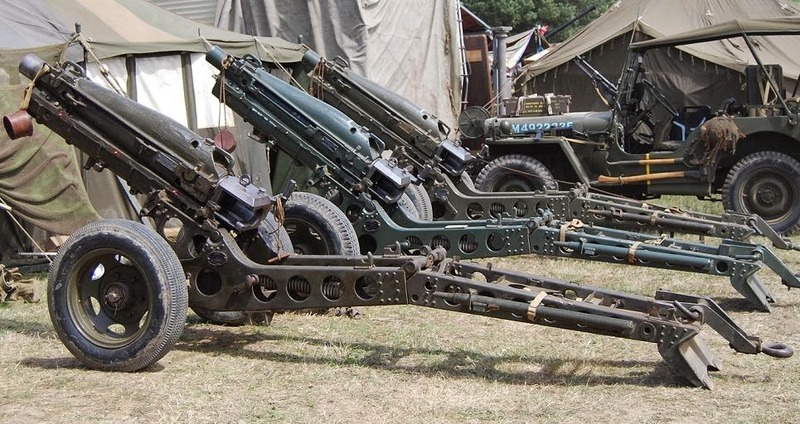 The term Pack Howitzer, simply means a gun that can be 'packaged' into several smaller loads in order for it to be easily transported. This means you can travel by animal, vehicle or even dropped out of an aircraft. A small unit can have several of these at their disposal with both explosive, and smoke ammunition. 82nd Airborne troops prepare their 75mm for a fire mission! The stats on the 75mm are pretty good for the points cost in most lists. Let's have a look at the stats of this gun when employed in your lists. With decent stats, it's certainly no tank killer, but it's ability to be used in depth during a defensive stand against armor, it would be something most opponents would be worried about. It's role in most of your typical Airborne Parachute Company lists, you're likely going to employ this as a smoke bombardment tool to effectively conceal yourself and get the enemy to move around so he has no choice but to reduce his own rate of fire during the course of a game. Most of the time you can get two of these into a list for under 100 points. The nice thing about taking it to four guns, is that they may only cost you 150 points. If you take into account that you have a Staff Team, and might be able to attach a Bazooka team to it for defense, you have a nice little platoon of at least six or seven stands. It's likely they will be in an area protected by at least one Airborne platoon as well. Breakdown of the 75mm from the US War Dept. 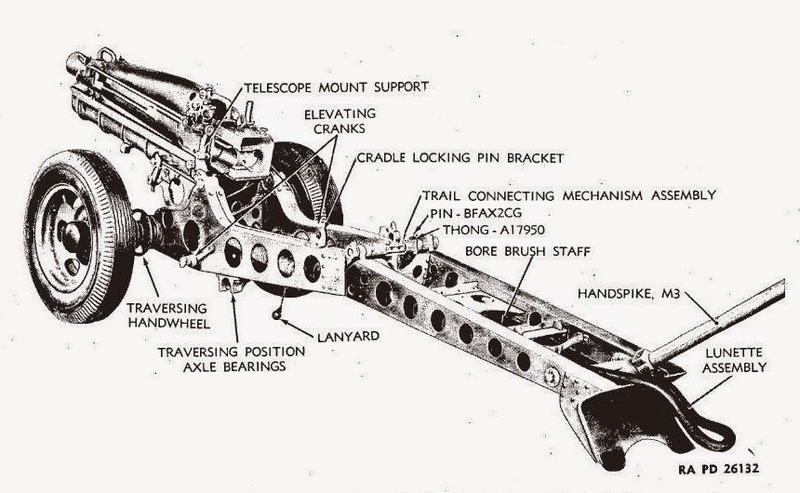 Technical Manual. The carriage itself can fold up to be broken down, it can also be towed in and out of action with US Jeeps or even the tow hooks on British tanks. Without the huge cost of some of the other artillery options, this light gun brings a lot to the table and can have serious influence if you deploy it and use it in the right way. Firing smoke every turn on mobile targets such as tanks or enemy armored transports can get under your opponents skin and may give you an edge in order to come out with the win. If you have to take a chance and start firing at some tanks, you might get lucky vs. the Top Armor 1 and get a kill or a bail to force a test later in the game. As a comparison to a US 105mm Heavy Gun, the stats don't match up. You do save on the size of the base, so it makes it harder to fit more than one gun under a template, you have better range with the 75mm at 64" vs. the 56" of the 105mm. It's lower in AT rating in both direct and indirect shooting, but it does have a better ROF (helps when you're pinned). For me, I like the ability to use these 75mm guns as an extra platoon, effective smoke and the models look pretty good as well. Dice Devils PodCast Episode 4 is here! Dice Devils Pod Cast Episode 3 is here!